2) грузоподъёмность CH-53K не дотягивает 907 кг до требуемой КМП 13.6 тонн. During operation "Protective Edge", the IAF's transport helicopters performed dozens of operational sorties in the Gaza theatre and in the peak of the operation they executed complex extractions of wounded combatants from the heart of the conflict in the strip. 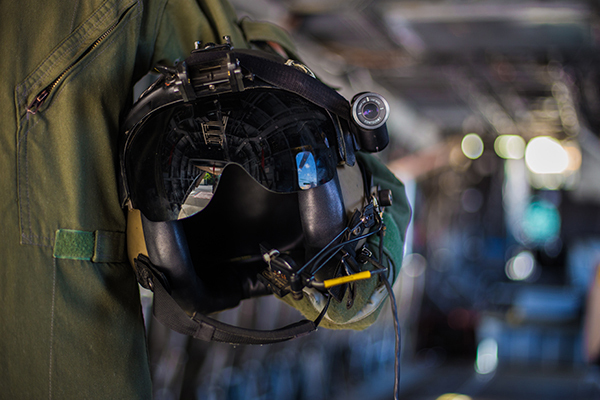 In light of the results of the debriefing of the operation's extraction sorties, today, airborne mechanics, who are responsible for operating the cargo hold, take off for every mission and training exercise with a camera on their helmet. This innovative installation is a result of the understanding that there is great potential in the integration of the footage when debriefing. "The debriefing camera help us understand if the mission in the cargo hold is performed properly", explained Master Srgt. 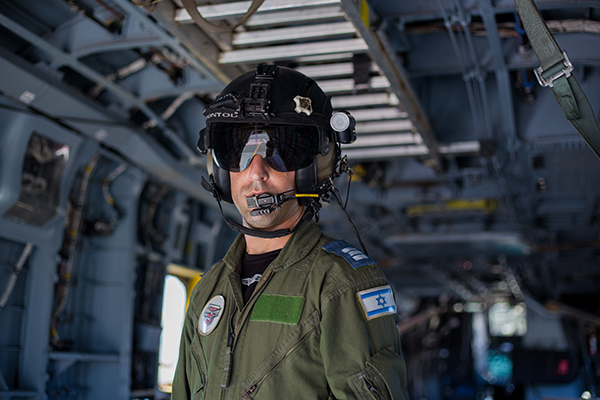 Adir, an airborne mechanic in the "Leaders of the Night" Squadron, which operates the "Yas'ur" (CH-53) Helicopter. "Most of our missions in the cargo hold include team work with other elements, from the pilots, with whom we work closely, to a third party like SAR Unit 669 operators or infantry forces. Working with many elements creates a very dynamic element and we are required to execute our mission efficiently". Transport helicopters perform many different missions, from the evacuation of injured civilians, through the extraction of infantry forces from enemy territory and to PSAR (Pilot Search and Rescue). Airborne mechanics are a critical part of the chain in each of these missions and no helicopter takes off without an airborne mechanic in the cargo hold. "Until the integration of the cameras we would debrief our work with an aircrew debriefing system with which we could only hear what occurred in the flight and not see what happened in the cargo hold". 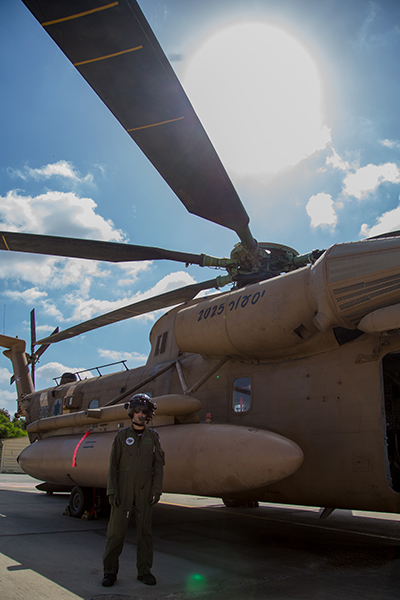 The "Nocturnal Birds" and "Leaders of the Night" squadrons that operate the "Yas'ur" (CH-53) Transport Helicopters from Tel-Nof AFB received a number of new camera kits. Now, after completing each sortie, the mechanics unload the footage from their cameras and when they debrief, watch it with the rest of the crew. "The challenge in debriefing the cargo hold in the transport helicopter division is instilling the change made as a result of the watching the video footage", shared Master Srgt. Adir. "Thanks to these debriefs, we understood that there are better ways to do many things and after watching, we could point at things we needed to improve". "Debriefing with the cameras is much more effective. You can clearly hear and see everything happening in the cargo hold", testified Master Srgt. Adir. "Another advantage is that the aircrew members who sit in the cockpit and do not see what happens behind them in real time, are exposed to our activity and receive a more complete image of our missions". ̶З̶в̶у̶к̶о̶в̶о̶й̶ ̶б̶а̶р̶ь̶е̶р̶ рубеж в 315 км/ч был достигнут 19 октября. По словам разработчиков, вертолет использовал 2,5 двигателя, так что 315 - это не предел. During a flight test on Oct. 19, 2016, the CH-53K King Stallion helicopter achieved a 170 knot flight - with power to spare. 315 км/ч - очень часто указывают как максималку для более старых моделей. Если нет никаких конструкционных ограничений, то вполне возможно, что разгон именно до 315 км/ч - хитрый рекламный трюк, что бы в дальнейшем, когда разгонят еще быстрее, показать преимущество нового вертолета. Лично я надеюсь что это еще не предел, законцовки лопастей не зря же они такими сделали. 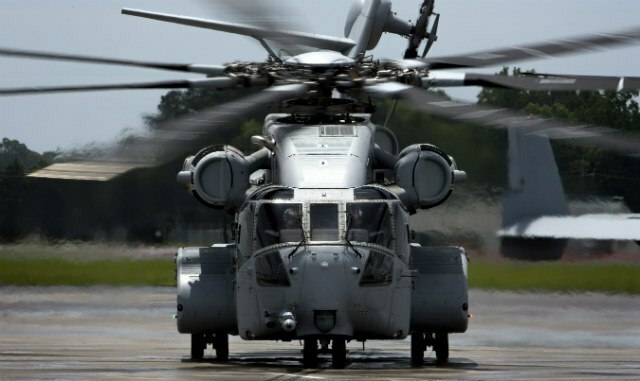 The USMC's much needed replacement for the notoriously unreliable CH-53E Super Stallion heavy-lift helicopter has had its fair share of issues. But now as the CH-53K accelerates its flight testing, its price tag is what's most concerning—costing a projected $122 million per helicopter. Yes, this is nearly the same unit price as the F-35B, the Joint Strike Fighter variant intended to replace the Marine Corps Harriers and and hundreds of their Hornets. The thing is, the USMC, once known for "getting more done with less," has been aiming to have its air arm transform into an all high-end, "silver bullet"-technology equipped force. Case in point, the backbone of their helicopter fleet isn't even a helicopter at all, it's a tilt-rotor airplane—the MV-22 Osprey. Although the King Stallion's price tag may seem outrageous, the USMC has spent tens of billions of dollars equipping itself with an all Osprey medium-lift "helicopter" fleet. Each Osprey, even after hundreds have been built, costs roughly $72 million each, and whereas the King Stallion is an absolutely necessary procurement item, the Osprey was a luxury the USMC chose to pursue. The service could have bought roughly three medium-lift helicopters for same price of a single MV-22. 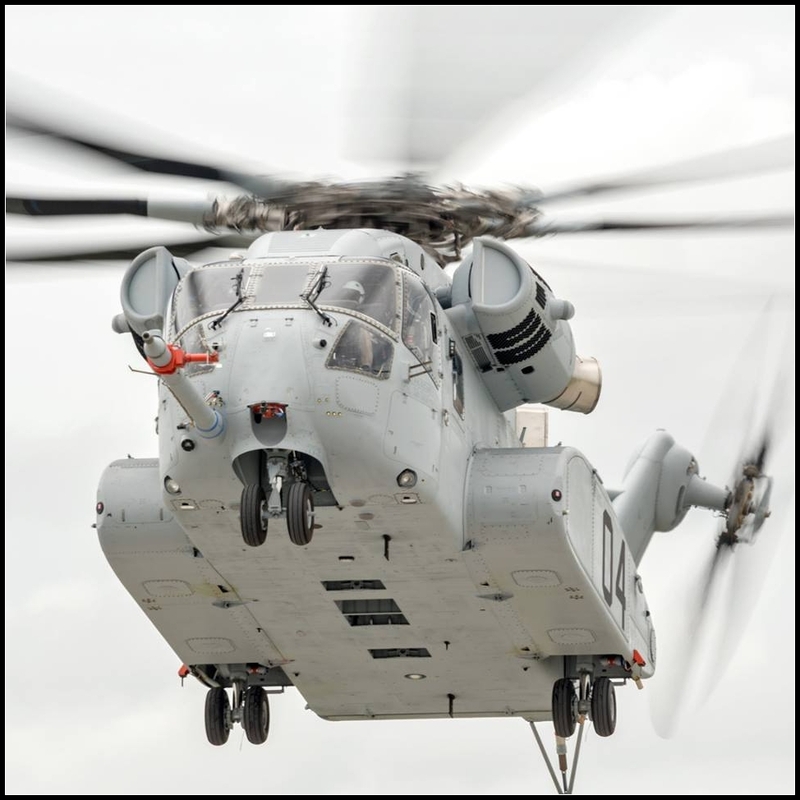 DoDBuzz.com reports that the decades-old CH-53E Super Stallion, the progenitor of the CH-53K, cost roughly $41 million in today's dollars. But considering the capability that the CH-53K brings to the table and how badly it's needed—not to mention the high cost of an Osprey—its price tag is a little easier to swallow. Just like most new military aircraft, the first examples cost the most, with the unit cost usually dropping fairly dramatically as the system enters full rate production. In total, the USMC looks to buy 200 CH-53Ks. Lieutenant General Gary Thomas stated that the cost per King Stallion will drop below $89 million once the helicopters enter full rate production around the turn of the decade—that is, if everything goes as planned. А почему в свое время на вооружение Хель Хаавир приняли именно CH-53D, а не СН-47? Быть может, проводились исследования какие-то? http://www.defenseindustrydaily.com...clines-turkish-pakistan-f-16-training-deal-ki Филиал Lockheed Martin, Sikorsky награждён контрактом на поставку первой очереди LRIP (Lot 1) в кол-ве двух Super Stallion CH-53K, Корпусу морской пехоты США (USMC) на 304 млн долл. Фирма должна поставить машины к 2021 году с запасными частями и поддержкой, работы будут выполняться в Стратфорде, штат Коннектикут. Программа Министерства обороны США базируется на 200-х вертолётах CH-53K, при этом USMC намерен иметь восемь боевых эскадрилий, одну учебную эскадрилью и одну резервную для поддержки эксплуатационных требований. Новое большое видео. Надо брать? 16 мая 2018 года Sikorsky поставила КМП США первый из 200 тяжелых транспортных вертолетов CH-53K. King Stallion будет готов к войсковой эксплуатации в 2019 году. Морские пехотинцы проведут оценку логистической поддержки и материально-технического обеспечения.